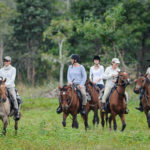 Discovering the Pantanal plains on horseback is certainly a gratifying alternative, for, besides the integration between men and horse it allows you to explore the diversity of the Pantanal landscape including some flooded areas of the Pantanal plain where otherwise we would not be able to acess. The Pantaneiro horse are docile and has adapted, through the centuries, to eat with its nose underwater. In this region, the horse is the Pantaneiros’ best friend, a daily companion during work and leisure. Arrival at Cuiabá airport or pick up at hotel and transfer to Pantanal lowlands. 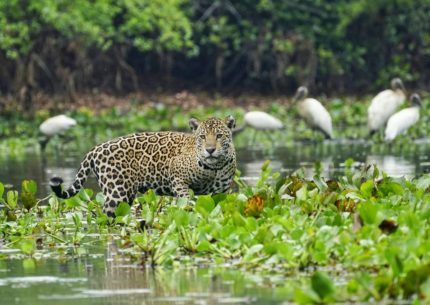 While crossing the area, it is possible to spot and appreciate the local flora & fauna. Check in, Welcome drink and accommodation. 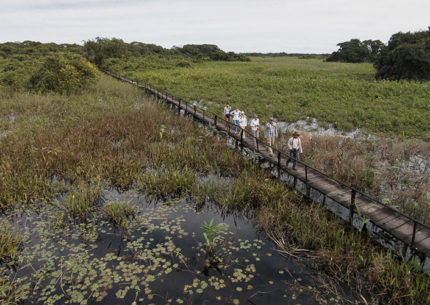 After afternoon’s tea, you will be guided into an introductory walk through the surroundings of the lodge to know our concepts and many conservation projects, continuing to the Great Egret Lookout, a 12 m / 39 ft. high observation tower. After dinner, night walk to observe south hemisphere sky, hear and fell the night sounds and smells. Overnight at Araras Eco Lodge. Early breakfast. 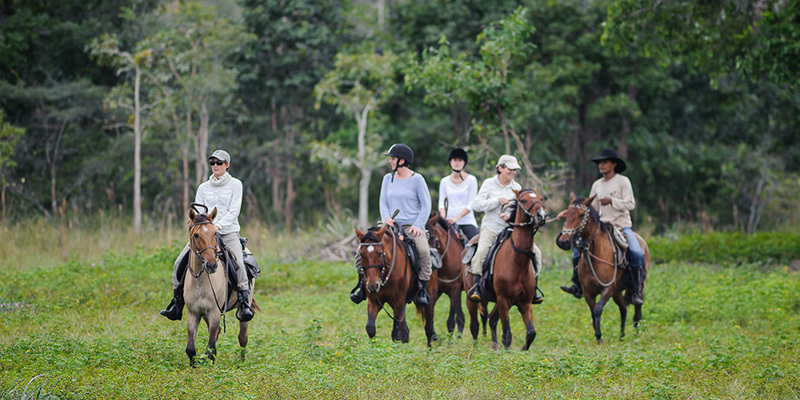 Settle your horse and ride through 9 Km of pure Pantanal headed to the margins of Clarinho river. Traditional cowboy lunch. Deserved “siesta” in hammock, followed by exploration of the river by canoe. Return to Sentinela Camp, settle your horse and restart the ride for another 3km until the “Bafo da Onça” Camp. 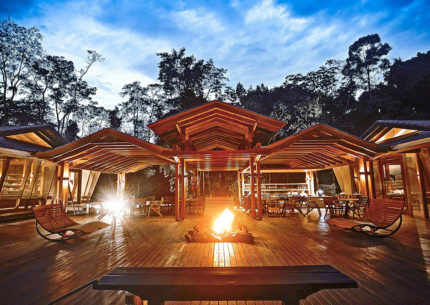 Prepare for overnight in this rustic Camp, outside in untamed nature. Dinner at campfire. Overnight in hammocks with mosquito netting. Very early breakfast. Settle your horse for further exploration of the fields and bays of this area, going by the trails daily used by the Pantaneiro men for work, sharp eyes for the suprises of Pantanal. Back to Bafo da Onça for lunch and in the afternoon return to Araras Eco Lodge. Dinner and overnight. Breakfast and check out/departure to Cuiabá airport.